Yes it's that time of year again, the school holidays are nearly over and it's back to school! 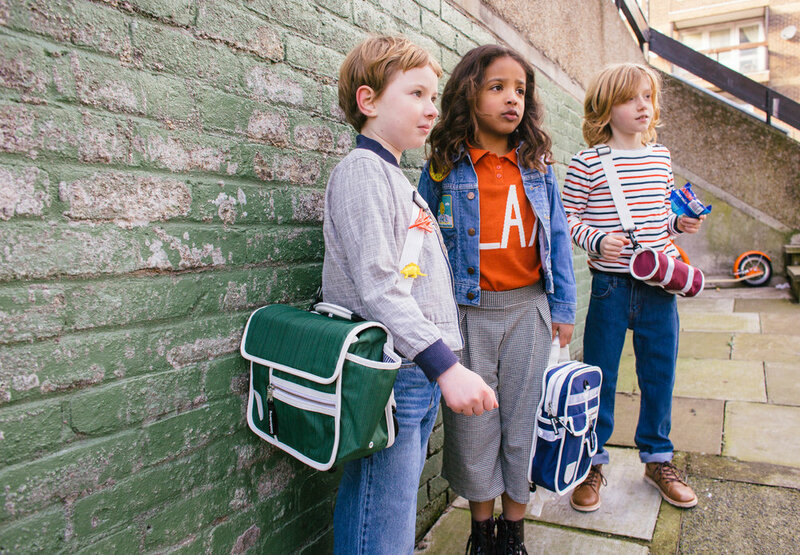 We loved these Goodordering bags last year and are really happy to be sharing them again in this years back to school feature on the blog. If you haven't heard of Goodordering then you are missing out on the coolest indie cycling brand around. 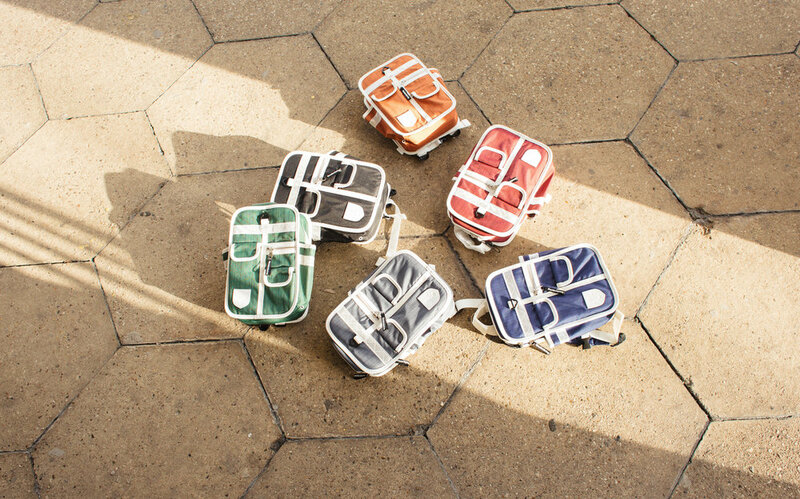 Their colourful nylon bags are unisex, hard wearing and work on bikes, scooters, kids and adults - the perfect family brand! Inspired by Japanese school bags and 80s retro travel bags there is something really nostalgic that I love about the bags, plus they have a heap of useful pockets and strap options making them mega practical too. They have quite a few options for school bags - from a Kids Mini Backpack (like Finn has in the image at top of this post) to a Kids Musette. They also offer larger rucksacks and of course all have the important high vis strips. These bags are really nice quality, well made styles that will last. I know Finns school bag always takes a battering so I hope he will look after this one, in fact he will as he told me he loves it! The hardest decision is choosing a colour! As for my bag it's the Shoulder Bag (inspired by Japanese teenage school bags apparently) and is such a great size with enough room for a laptop and plenty of other bits. This bag works for kids and adults and has a detachable shoulder strap and multiple pockets for storing and organising all your bits. The website is really informative with lots of in depth product detail, reviews and videos on how to attach certain styles to bikes/ scooters etc. These are the images from the most recent Goodordering photoshoot with Leonie Freeman and really capture some great childhood moments around Hackney, London. So many great colours to pick from...which is your favourite? There is 20% off Backpacks until the end of August 2018 by using the code BTS19 at checkout. *These bags were gifted and this post was commissioned by Goodordering but as always all opinions expressed are my own.